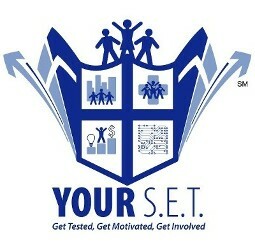 In the Spring of 2006, YC established an Social Entrepreneurship and Technology Institute (YOUR S.E.T.) focused on engaging participants in the use of community informatics and social entrepreneurial principles to reduce or eliminate social disparities. The curriculum used in YOUR S.E.T. is align with State, National, and International K - 12 Business, Marketing, Management, and Technology standards; to include internationally accepted Information Technology certifications. Participants also learn about Business, Management, and Marketing careers focusing on Public Health in general and the reduction of Sexually Transmitted Infections and HIV (STIs/HIV). The manifestation of the programming is a Social Media and Public Health version of the "Geek Squad" focused on assisting CBOs and FBIs build technical capacity. Wellness is an active process of optimizing one’s potential. Health information technology (HIT) focuses on positively impacting wellness outcomes through the secure and responsible use and sharing of information via digital products and services. Whereas, health informatics (HI) focuses on understanding the how and why of using HIT to positively impact wellness. The blending of HIT and HI within our global digitally-connected society has resulted in the need for human capital, products, and services capable of mitigating digital threats and risks to the wellness of individuals and organizations. The field of practice, education, and research devoted to hardening the digital assets of individuals, groups, and organization is known as cybersecurity (CS). The government, industry, and academia agree that 240,000 unfilled CS positions coupled with a projected increase of 18%-34% through 2030 is negatively impacting the US’ wellness. According to a 2014 CS labor market analysis, 78% of college students decided to study STEM in high school or earlier. Additionally, a 2013 report found that 82% of millennials had NOT been exposed to CS careers option and only 24% were interested in CS. That said, more solutions are needed to actively engage youth in becoming tomorrow’s CS professionals today. The Institute for Social Entrepreneurship and Technology (YOUR S.E.T. ),which focused on building the capacity of participants to use desktop publishing and system development principles to develop and disseminate digital wellness resources. Some highlights of the YBH and YOUR S.E.T. impact to date include YC: (a) raising the awareness of the social, economic, and national security impact of HIV in over 40K congregants in over 80 faith-based organization across 9 denominations; (b) supporting over 20 peer-reviewed articles; (b) assisting over 500 individuals obtain employment with organizations such as GM, Ford, Comcast, Apple, and Hewlett Packard; (c) developing and implementing a C²C² focused Entrepreneurship program with TechTown Detroit and the Wayne State University College of Education VAC Program; (d) serving at the Lead HIV Prevention agency for the National Faith Mobilization Network; (e) facilitating Animation, Coding, and HIT programming for Southfield Public Schools Saturday School since 2010; and (f) serving as a founding member of the American Public Health Association’s Community Based Public Health Youth Council. Project 1: Replicated Wayne State University’s Sport and Technology Academy in Flint July 18th–July 21st in collaboration with UM-Flint, Metropolitan Baptist Church, and the Institute of R.H.Y.M.E.S. Project 2: Facilitated a “Cybersecurity, LEGOs, and Helping Your Child(ren) Step Into his/her Greatness” work at 4th Annual Wayne County Fatherhood Forum. Some highlights of YOUR Center’s impact to date include: (a) serving 270 young men and women of color age 7–24 in Detroit; (b) serving 180 young men and women of color age 7–24 in Flint; (c) engaging educators in identifying ways CyberSMART could be used to enhance academic performance; and (d) YOUR Center being 1 of 2 keynote speakers at Flint’s Strong Cities, Strong Communities 2016 Summer Youth Employment Graduation. 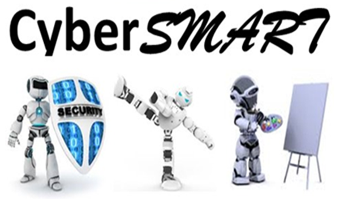 Some promising statistics are: (a) 100% of the youth participants say they would bring their best friend to the next CyberSMART series; (2) 80% the participants say they would like to see CyberSMART as part of their regular school curriculum; (c) 50% of the parents stayed and participated in the workshops; and (d) 75% of the participants they were interested in doing Cybersecurity tasks within their career aspirations. Goold, S. D., Myers, C. D., Szymecko, L., Cunningham, Collins, C., Martinez, S., Ledón, C., Campbell, T. R., Danis, M., Cargill, S. S., Kim, H. M. and Rowe, Z. (2016). Priorities for Patient-Centered Outcomes Research: The Views of Minority and Underserved Communities. Health Serv Res. Unertl, K. M., Schaefbauer, C. L., Campbell, T. R., Senteio, C., Siek, K. A., Bakken, S., Veinot, T. C. (2015). Integrating Community-Based Participatory Research and Informatics Approaches to Improve the Engagement and Health of Underserved Populations. Journal of American Medicine Informatics Association. Campbell, T.R., Blackmore, D., Barco, R. (2015). Incorporating Cyber Security in General Education Classes at the National Colloquium for Information Systems Security Education Conference in Las Vegas, NV. Campbell, T.R. (2013). STEMMING the Marginalized Tide: Meeting Underserved Learners Where They Live at the 2013 National Science Foundation Advanced Technical Education Conference, National Principal Investigators Conference. Campbell, T.R. (2011). Public Health, Telehealth and Civic Engagement at the American Public Health Association Conference in Washington, D.C.
Campbell, T.R. (2009). Social Media, Hip-Hop, and HIV at YOUR Center’s Annual Women and Girls Health Awareness Conference in Flint, MI. Campbell, T.R. (2009). A Call to Action: Using Social Media as a Tool for Empowerment at the 37th Annual Michigan Association of Black Social Workers Conference in Flint, MI. Campbell, T.R. (2008). Using Sports and Technology to Win at the Game of Life at the Black Men for Social Change Conference in Flint, MI.